House hunting and related angst has pretty much consumed my life this spring (who knew that "affordable" and "inhabitable" was such a tough combination? ), plus I'm working extra hours at my day job, so I've had very little time for writing or blogging. Or for nature walks, for that matter, although I did get out for a brief frolic this week. 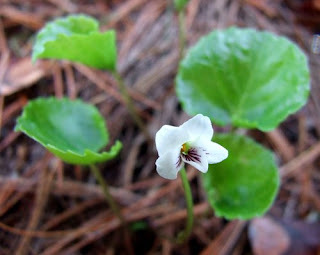 Every spring I seem to miss the most ephemeral of the ephemerals--bloodroot, hepatica, spring beauty, etc.--or I'm just not in the right place at the right time, but the more sturdy spring flowers are starting up now. In Congdon Park, there are tons of mayflowers getting ready to bloom, and serviceberry flowers are just barely, almost, kind of starting to pop open (I was there two days ago, and they have certainly opened up by now), and the trillium are getting ready to go, too. There was one bright, celebratory bunch of marsh marigolds in bloom just below 4th Street, and a few anemones along the trail starting to blossom, and exactly one violet. Elsewhere in town, there are strawberries, pussytoes, mertensia, phlox, ground ivy, dandelions, tulips, daffodils, scilla, hyacinth, and other flowers blooming, and the lilac and chokecherry buds are starting to swell. The fern fiddleheads are unfurling, and tree leaves are filling out so that the forest is starting to blush green. The sparrows are trickling back up, most song, chipping, and white-throated, although my nature-walk companion this week spotted a Lincoln's and white-crowned. The warblers and kinglets are coming back, too, and last week I found a robin's egg. Tortiseshell butterflies have been out for a while, and have recently been joined by bumblebees and cabbage/mustard butterflies. It is the time of year where, even if you had no other obligations and unlimited energy, you couldn't possibly see everything that's happening.